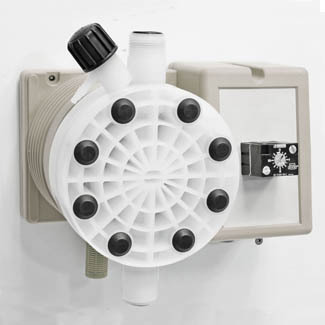 Total compressed air driven dosing pump for chemical fluids such as acetic acid, hydrochloric acid, phosphoric acid, nitric acid, chlorine, etc. "Total compressed air" Series metering pumps series work only with compressed air without lubrification and/or condensed water. Air supply pressure range must be from 6 bar to 10 bar.